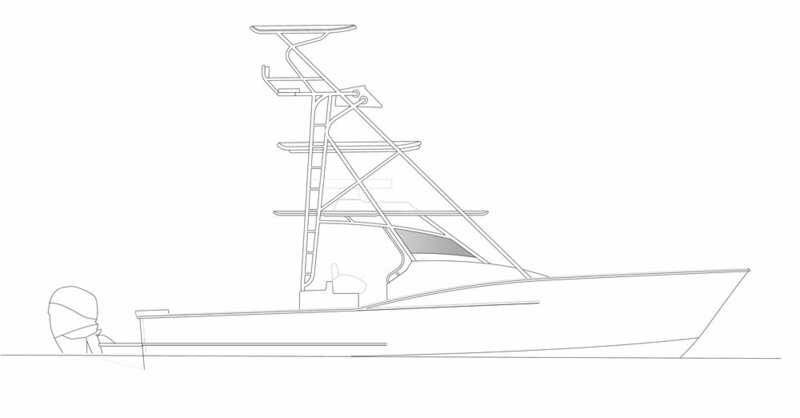 The 38 CC; A massive offshore fishing machine. 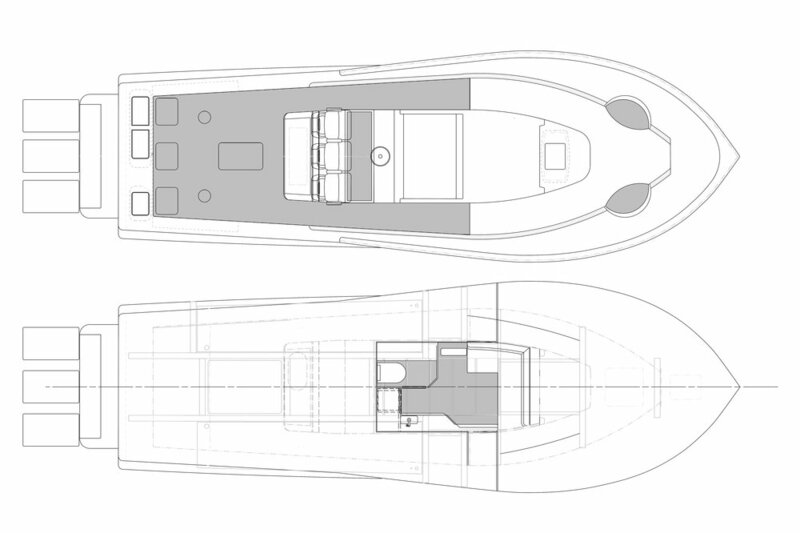 The 38 CC feature huge decks, a large cabin with private head, a small galley with refrigerator/freezer and microwave, and a full queen berth forward. The 38 CC has lots of built in storage, coolers and fish boxes that are fully customizable. Forward of the console there is space for a large chaise lounge with backrest. The helm features triple helmseats on a elevated driving position for great visibility. Below the helm seat base is a mechanical room which provides access to all the systems for service and inspection. There are many optional seating and tackle center options at the helm that can include livewells, grills, tackle storage, sinks, so each 38 CC can be tailored to your desires. Our goal at OBX is to build a yacht with the finest and strongest materials available, by the finest craftsman and boatbuilders in the industry, with superior engineering and design, all at a tremendous value.